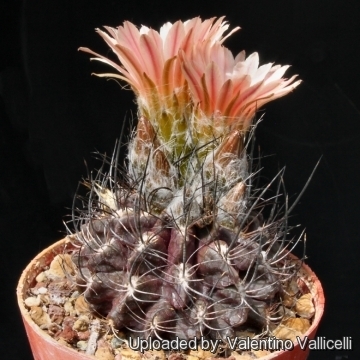 Description: Delaetia woutersiana (syn: Neoporteria woutersiana) is an old controversial plant name, now referred to Eriosyce taltalensis subs. 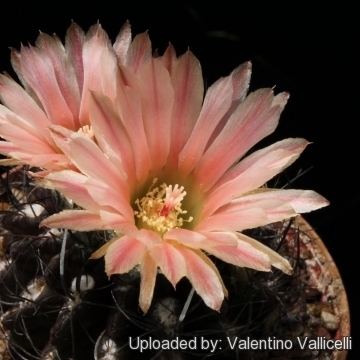 paucicostata, which is a widespread and morphologically variable taxon. Delaetia woutersiana produces grey-green stems with distinct radial and central spines. 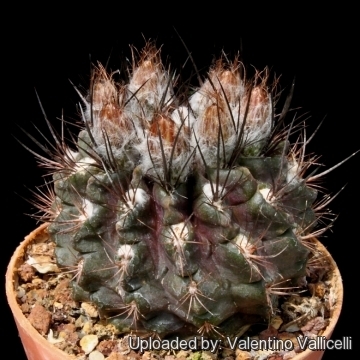 Spines are hair-like and tortuous, but the plants found in cultivation shows a high degree of variability. 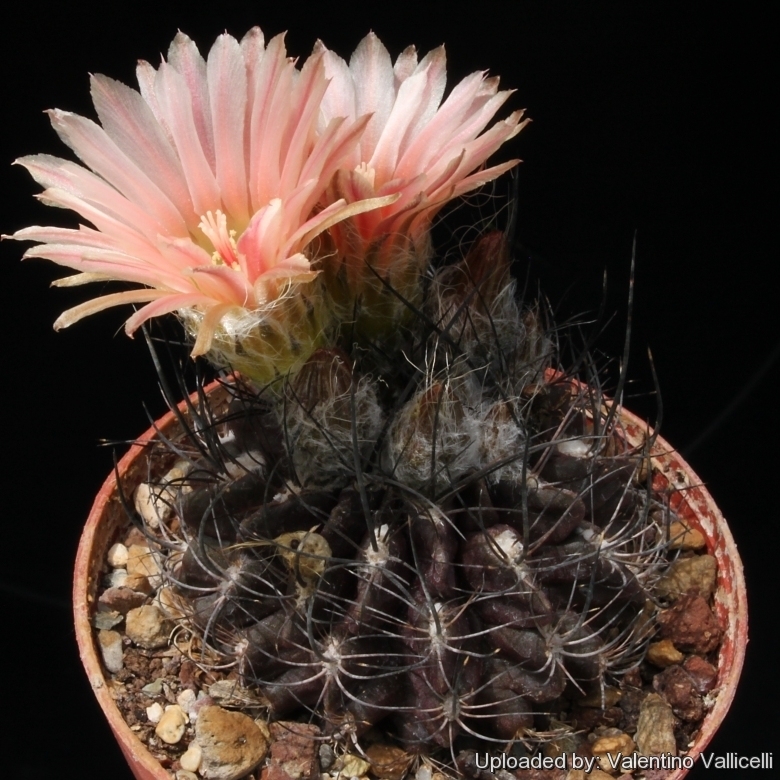 The names Delaetia woutersiana is not accepted by botanists that treat it as synonym, but it still has a value for a collector because they identify plants with particular characters. Stem: Roundish, grey-green, with finely dotted epidermis. Ribs: about 13 strongly tuberculated. Areoles: Large, round to somewhat elongated white. 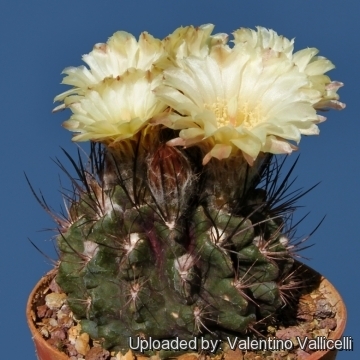 Central spines: 4 black soon turning grey, bristly more or less tortuous, lowest 1-1,5 cm long, upper up to 2,5 cm long. Flowers: About 2 cm in diameter pink with a yellow throat. Outer petals with a brownish-yellow darker midrib. Tube very hairy. Cultivation and Propagation: Eriosyce woutersiana is a slow growing but relatively easy to grow species, providing they are kept dry during autumn and winter and rot prone if kept in a non ventilated place.